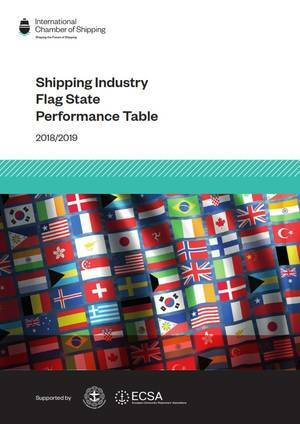 The annual update, which is also supported by the Asian Shipowners' Association (ASA) and the European Community Shipowners' Associations (ECSA), provides an indication of the performance of individual flag administrations, using information available in the public domain. "The purpose of the ICS Table is to encourage ship operators to examine whether a flag state has substance before using it and to put pressure on their current flag administrations if improvements might be needed, for example with regard to port state control records of ships under their flag, failure to ratify key IMO Conventions or regular attendance at IMO meetings" said ICS Secretary General, Guy Platten. "In a global industry such as shipping there is nothing unusual about an international ship registry system. But a balance has to be struck between the commercial advantages of selecting a particular flag and the need to discourage the use of flag states that may not fully adhere to their international obligations, especially with regard to safety and environmental performance" Mr Platten added.